Accessories for your Hot Tub to maintain and accessorize your hot tub. 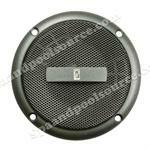 Upgrade or maintain your Sound System with factory original parts. Set the mood with Colored light lens. Place a refreshing drink in one of several Drink Trays designed for your Sundance® Spa. Drink Tray for 2009+ 880 Series. SUNDANCE SPAS Stereo Speaker Assembly, Model # MA7020. Picture is for reference only, The new speaker does not come with the plug and has 4 spade terminals. See MORE INFO. 6560-577, LED LIGHTED CUPHOLDER, J-300 AND J-400 SERIES, 2006+. Close Out item. Limited to stock on hand! SunPurity™ Mineral Spa Purifier A natural, effective alternative to chlorine and bromine, using organic minerals. 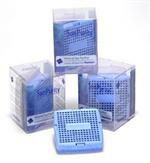 Buy 3 get 1 Free SunPurity™ Mineral Spa Purifier 4 pack Special. A natural, effective alternative to chlorine and bromine, using organic minerals. Get All Three of the Colored Lens, Blue 6540-452, Red 6540-453, Green 6540-454. Diameter 4.5 inches. See More Info for Application.